Azerbaijan has made serious progress on the agenda of the negotiation process for the settlement of the Nagorno-Karabakh conflict, former ambassador of the president of Armenia for special assignments David Shahnazaryan told Armenian media on September 6. He noted that after coming to power, the new government of Armenia began to pursue the “time-out” policy in the negotiation process, which was the maximum delay of meetings and negotiations in the format of the OSCE Minsk Group co-chairs. “But it seems that it failed: the co-chairs paid a visit to Armenia, and then there was a meeting of foreign ministers in Brussels,” Shahnazaryan said. He added that if we pay attention to the statement of the co-chairs after the Brussels meeting, we can see that there is the wording “substantive talks,” which was a demand of Azerbaijan for a long time, and which Baku has repeatedly stated. “In this regard, during this time Azerbaijan has made serious progress on the agenda of the negotiation process for the settlement of the Nagorno-Karabakh conflict, and this is the most important point. This, in fact, means the main, substantive negotiations purely on the conflict settlement, which means purely the return of territories for Baku,” Shahnazaryan noted. The former ambassador further added that Azerbaijan is pursuing a very active foreign policy, diversifies its political-military and diplomatic sphere and has recently expanded the space for its cooperation with Russia. Armenia broke out a lengthy war against Azerbaijan by laying territorial claims on the country. Since a war in the early 1990s, Armenian armed forces have occupied 20 percent of Azerbaijan's territory, including Nagorno-Karabakh and seven surrounding regions. 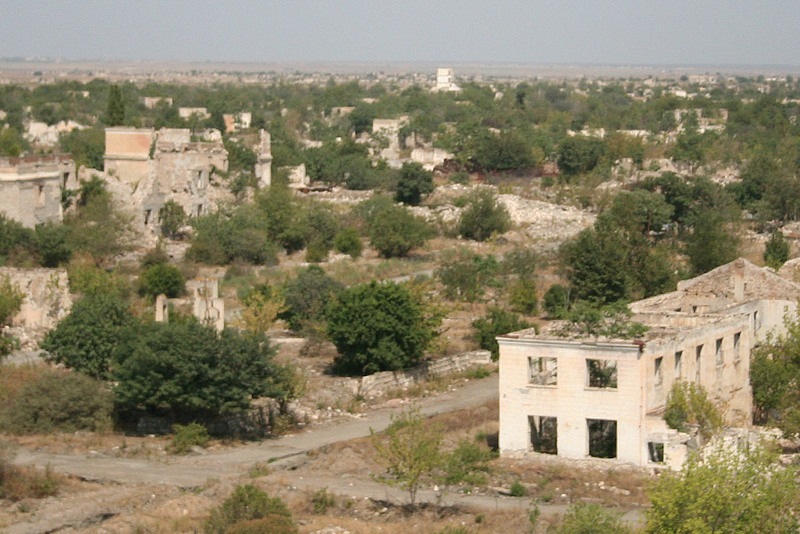 More than 20,000 Azerbaijanis were killed and over 1 million were displaced as a result of the large-scale hostilities.